RocketLoans is the personal loan that you want to apply if you need financing for purchasing a new car or secondhand car. You can also use the funds from RocketLoans to pay for your car repair expenses. RocketLoans is a relatively new online loan provider founded in February 2016. It has a sister company called Quicken Loans that specializes in providing mortgage loans. The personal loans are provided via Cross River Bank which is based in New Jersey. RocketLoans personal loans is only suitable for covering auto expenses but it also can be used for other various personal purposes such as medical fees, debt consolidation, and home renovation. RocketLoans does not allow its loans to be used for funding a college education or activities that are illegal. 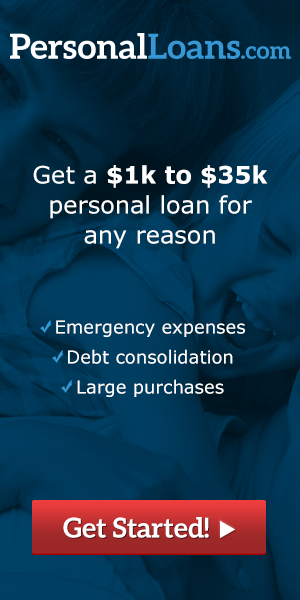 With RocketLoans, you can borrow in between $2,000 – $35,000 and the interest rate starts from 5.9% – 28.99%. The APR interest rate that is assigned to the borrowers can depend on various factors such as the history of credit inquiries, whether you own your home or living in a rental home and the length of the loan term. Borrowers can choose from loan duration that is in between 3 – 5 years. When the loan is approved, you can expect the fund to be released as soon as the next business day. Borrowers whose loans are approved must pay an origination fee that can range from 1%-6% of the borrowed amount. The origination fee is automatically deducted so the loan amount that is deposited into your account will be the amount that has already deducted the origination fee. For example, if you apply for a loan amount of $7,000 and the origination fee is 6%, the amount that you will see in your bank account is $6,580. RocketLoans target on customers with good credit scores but it is willing to accept customers with credit score starting from 640. Most of its borrowers have a much higher credit score. Borrowers must maintain a minimum credit history of at least 2 years and be able to show proof of a solid income to pay for the loan. The average income of the borrowers who were successfully approved for RocketLoans is $80,000 per year. In addition, the borrower must not have a debt to income ratio that exceeds more than 34%. Applicants who are interested in RocketLoans can first submit the application online at the official site. They will perform a soft credit check that won’t affect the applicant’s credit score. The soft credit check will let the applicant knows the estimated interest rate that he will be charged for the loan. The final APR interest rate is provided after the hard credit check has been performed.